Another service Sheedy Crane offers is temporary shoring of buildings, parking garages or any other structure. 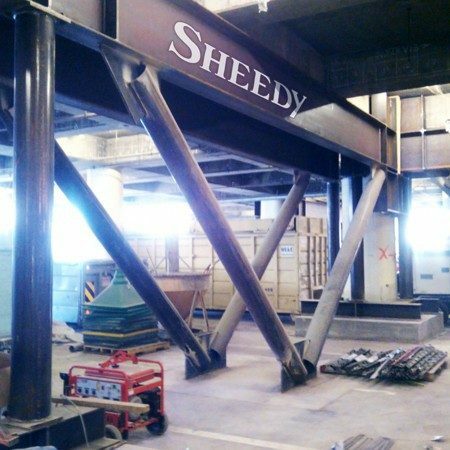 Specifically, Sheedy offers full turnkey design, engineering, fabrication, installation and removal of structural shoring. This includes columns, beams and bracing of various types of structures during construction, demolition or renovation. Whether your project is big or small, all of our solutions are specifically designed to meet your unique project requirements. Some of Sheedy’s most challenging projects involved the temporary shoring of existing hospital buildings where strict Office of Statewide Health Planning and Development (OSHPD) requirements had to be met. Safe, reliable and quality Structural Shoring in the San Francisco Bay Area.